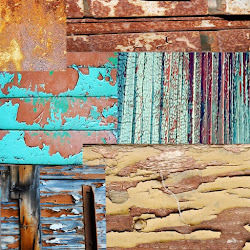 When working with vintage, found object, and unusual materials in my designs, I am never 100% certain what term I should use, up cycled, recycled, redesigned...... While doing a little research I found a few clarifying definitions including synonyms. Upcycled: to convert found objects into something better - new and useful. To raise the value of a recycled item. 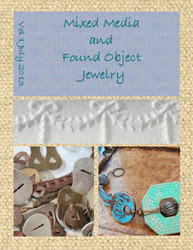 Recycled: to convert used (including vintage) materials into something new and useful. Redesigned: to enhance something by changing it from its original state. I think it would be entirely possible to use all three to define a newly designed piece. While my mom is out on her adventures she is always on the lookout for unusual pieces of jewelry, art, and other things. Quite often she finds jewelry that needs a little TLC such as a broken necklace or bracelet, or vintage pieces that need a little help. 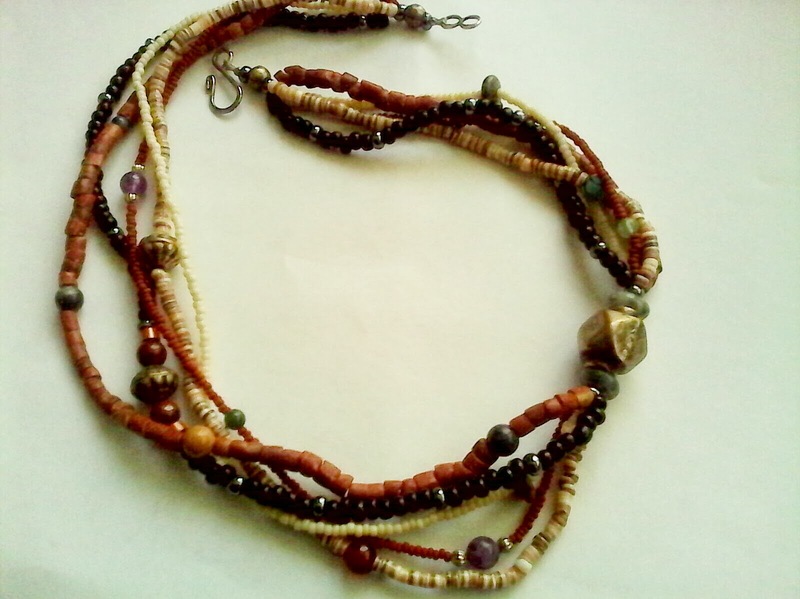 Recently, she came across a necklace that looks as though someone had spent some time making it. There are some great beads in it like, semiprecious gemstones, pipestone, shell heishi, clay, glass, and a few metal beads/findings. I think it would be an interesting bracelet but it's too long and it's too short for a necklace. The design doesn't quite flow right either. In working with this piece I will be recycling it, as it is used and someone was discarding it. I will be upcycling it as, I intend to improve it, and add value to it. I will also be redesigning it so the beads, colors, and textures are more fluid. 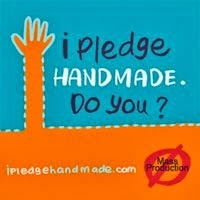 I will post a pictue of the newly designed piece in a week or so - or as soon as I am finished. I haven't quite decided which design I want to go with. Keep warm! Us midwesterners are in for another artic blast - blizzard nonsense for the next few days. Teaching yourself new techniques is both inspiring and fustrating as you know, and revisiting earlier pieces is always a reminder of how far you have come. I use to be hard on myself when looking at my older pieces - thinking "yuck' did I really make that?". Now, I chuckle a little, and think "great! - I have new beads to work with :-) ".. and take the piece apart. 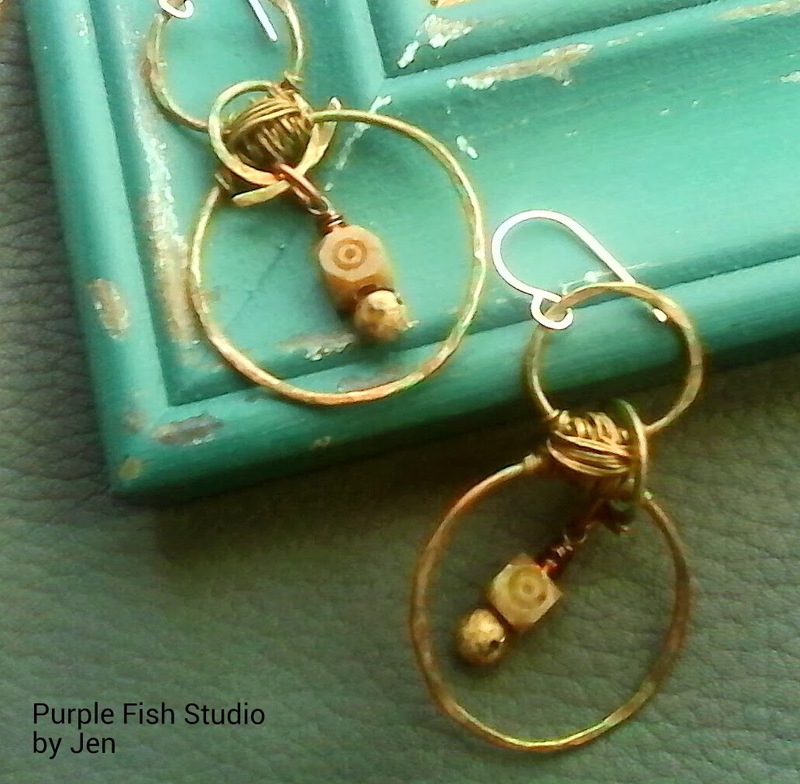 One of the great things I have discovered when using metal colorants is that you can usually paint over it and start over, unlike wire-wrapped jewelry, which I find rarely saveable. I have been using Vintaj patinas for quite sometime, layering colors and ocassionally adding a few drops of their silver or gold patina to changes the tone. 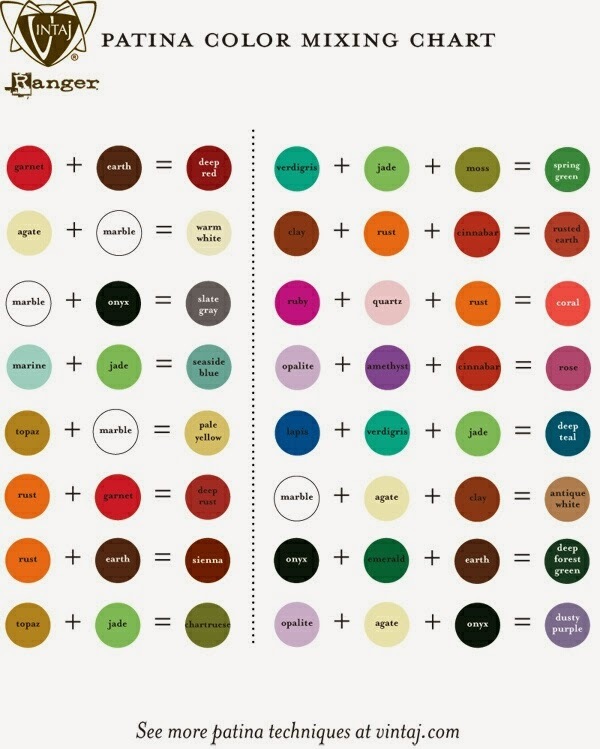 Recently, Vintaj has published a blending chart for their patinas and it has opened up a new palette. One important lesson I have learned when using Vintaj patina is that less is often better and a little drop goes a long way. 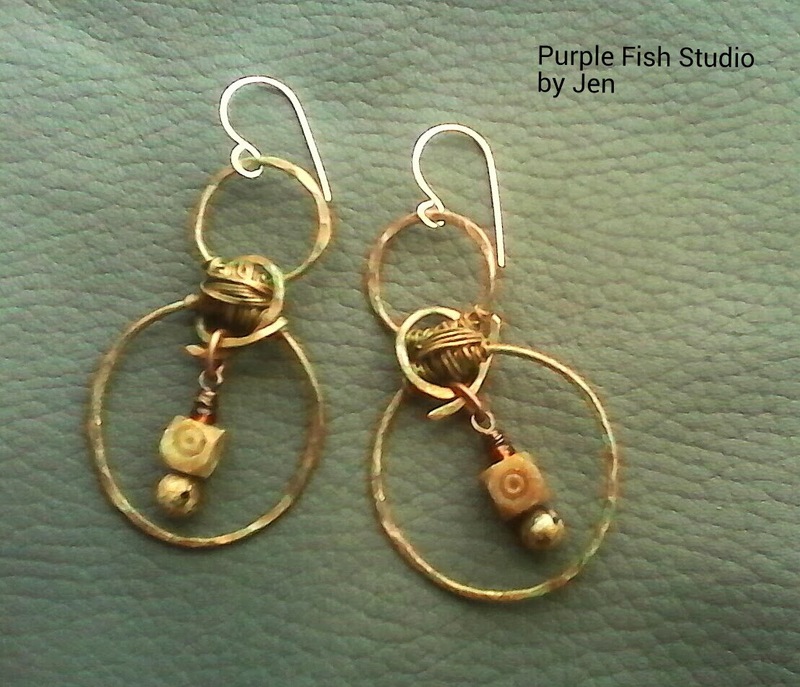 The two pair of earrings below started off as raw bright shinny copper. Adding layers of Vintaj patina have transformed them into rustic, aged and worn looking earrings with hints of natural looking patina. 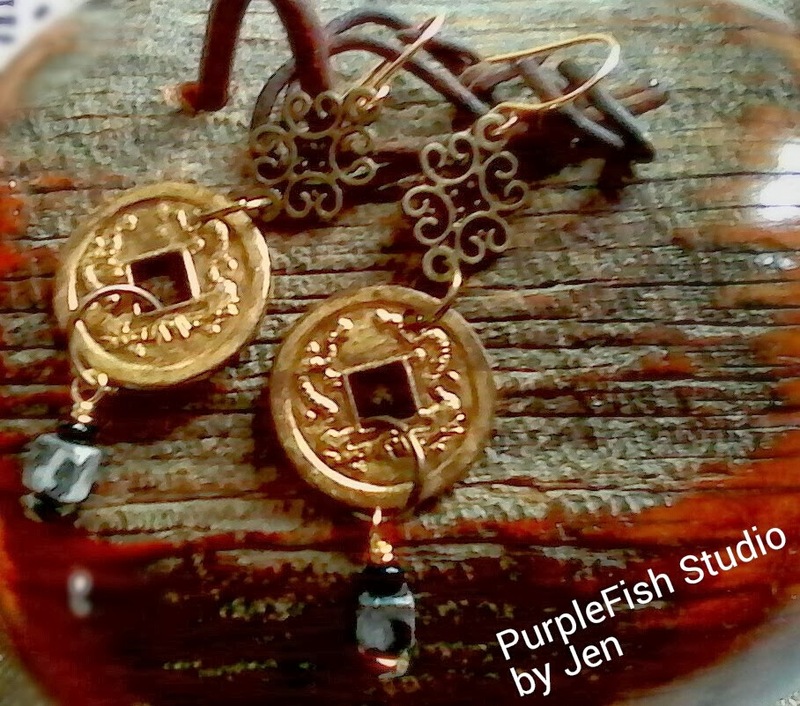 I used just a few drops of Earth, Jade, Moss, Verdigris, Antiqued Copper. I layered the colors starting with Earth. 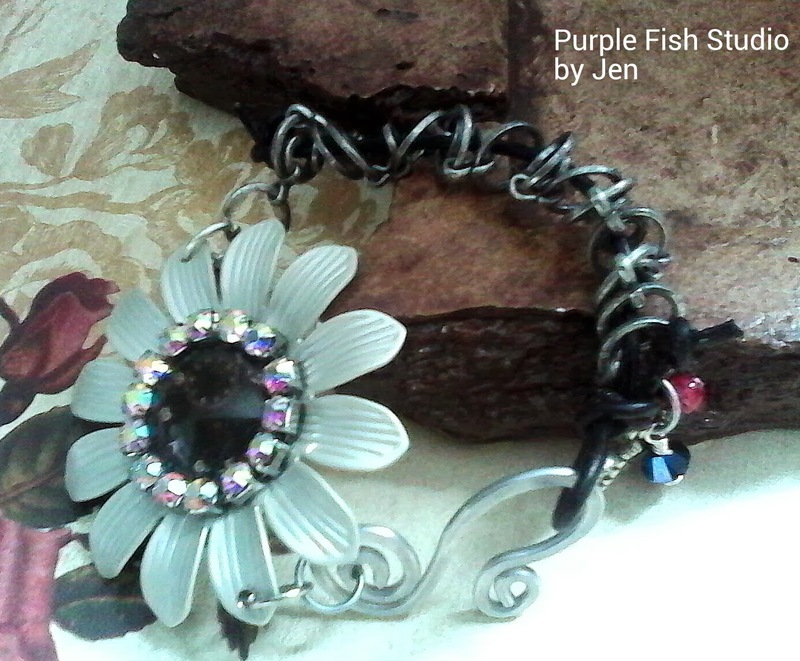 Below is a mixed media bracelet I have been working on. 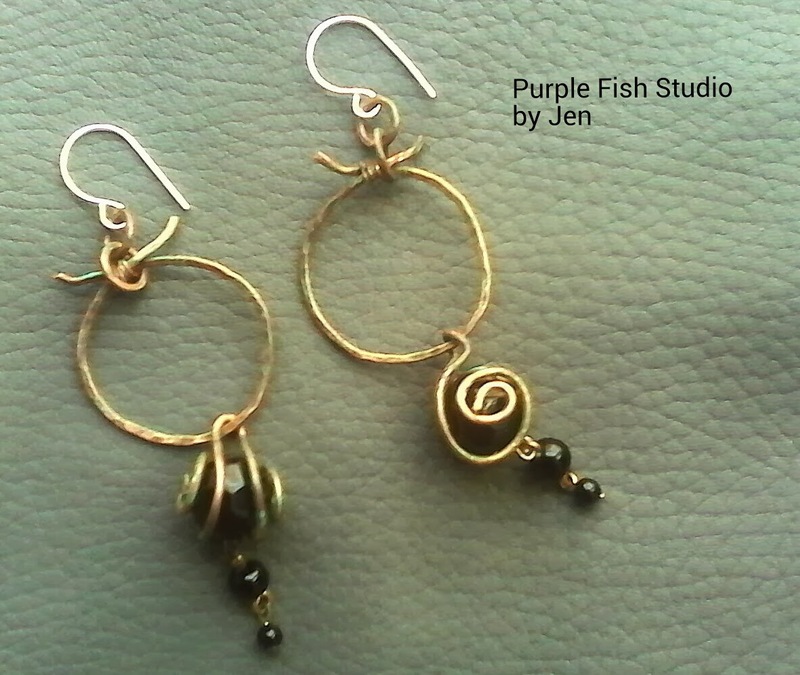 I have used semi-precious stones and other earthy materials. I hope you find some inspiration - keep warm and I'll talk to you later. Since I've decided to start the New Year off with the goal to incorporate new techniques and try different medias, I decided to try Gilder's paste. Normally, I work with brands like Swellegant, Vintaj metal patinas, and other paint forms. I am finding that I love the effects of combining Vintaj metal patina and Gilder's paste. The combination gives a blend of warm earthy antiqued tones with dark accents and soft golden highlights. 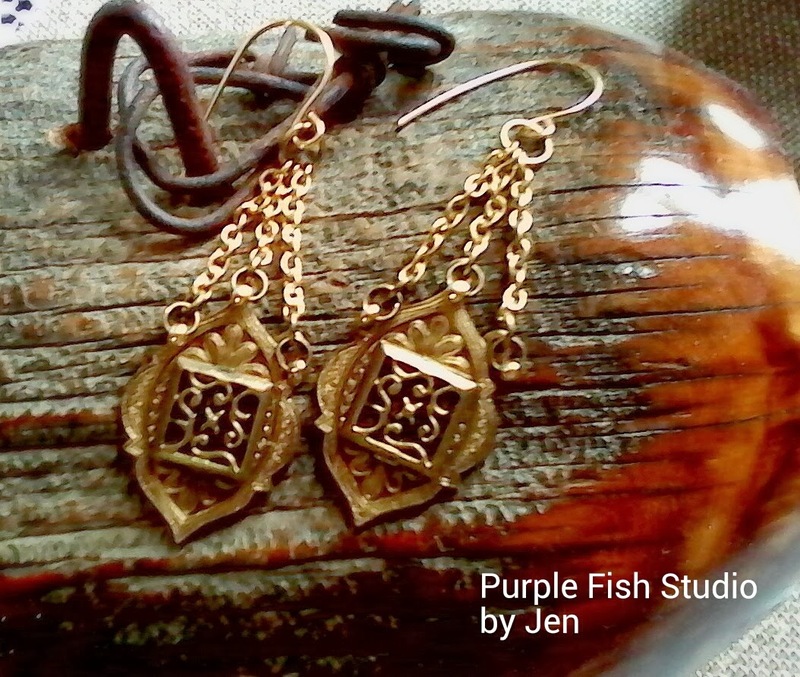 With the earrings I have been working on I used Vintaj Earth and Gold Baroque Art Gilder's Paste. I applied Vintaj Earth first and let it dry. I then applied the Gilder's paste, let it dry, and then gently polished them. I also discovered a great way to apply the Gilder's paste - I use an eye shadow applicator. You can buy a pack of disposable ones pretty cheap and they work great. I tried my finger (too messy), paper towels, cloths, paint brushes, and found the spongy eyeshaddow applicators work the best. Okay.....not really. But for those of us in the frozen tundra Midwest where we have survived -30 (-60 with wind chill), frozen pipes, and cars that do not appreciate unusually cold weather.....30 degrees above zero seems to be a heatwave. I have been working on a few new pieces adding some of the wire wrapping technique. 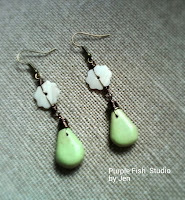 I hope they make you think of spring and warmer weather. When I am deciding how the design of my piece should be laid out, I look at a variety of medias, looking for patterns and textures that would make the piece interesting. Over the years I have collected a lot of jewelry design books and technique books. One of the books I have shows several different wire wrapping techniques and projects. 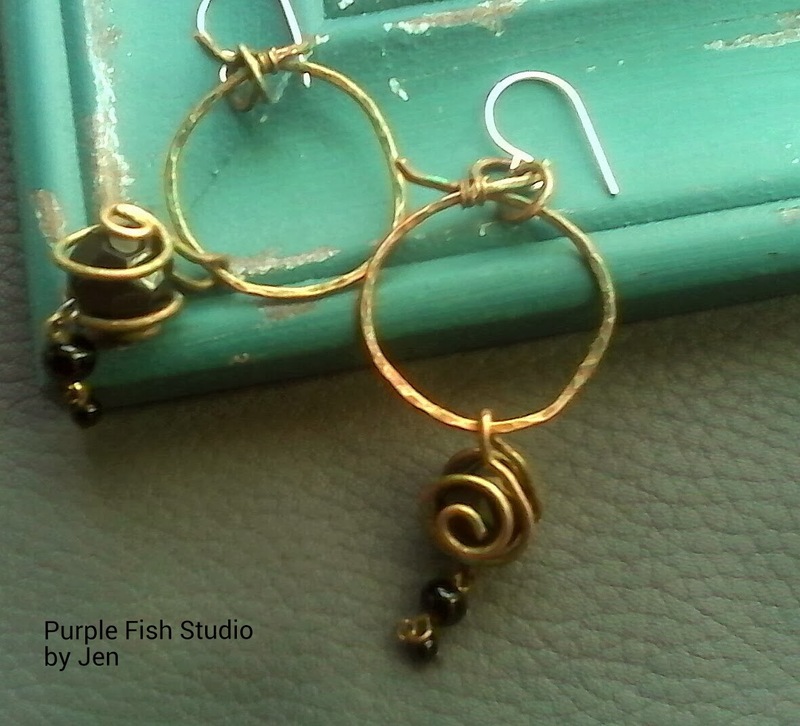 On several occasions I have bought all different kinds of wire and tried to teach myself how to master these techniques. When I started out, I thought it would be easy, boy was I wrong, wire is tricky. It does not always cooperate, twists and breaks at the most in-opportune times, and then operator error steps in and the wire I've cut is too short. 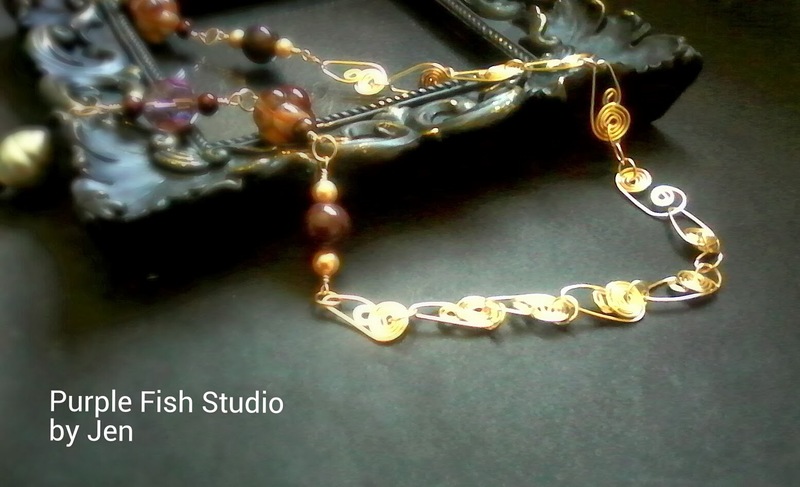 Lately I have had some success with it and am now designing my own chain for some of my pieces. 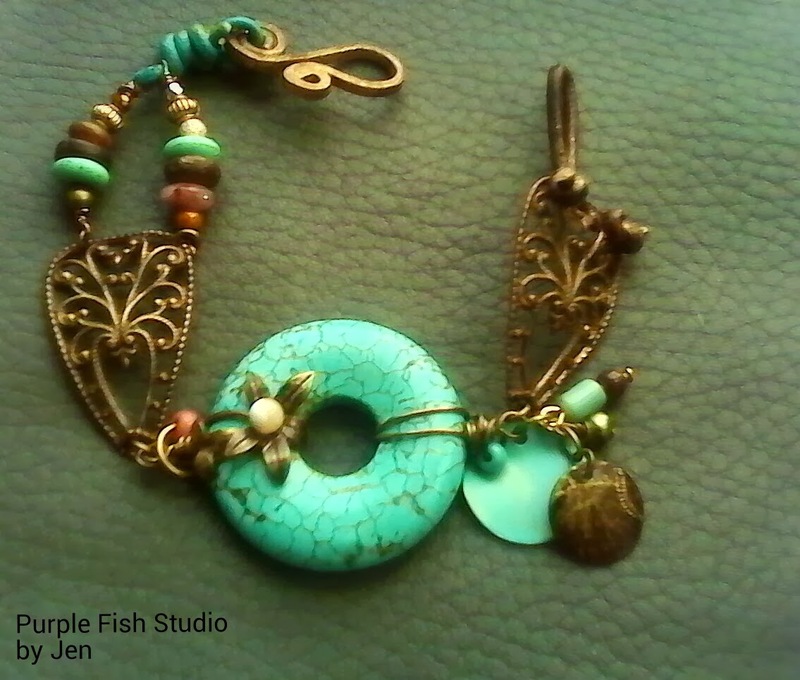 The chain is in short lengths, but nonetheless it's still handmade. 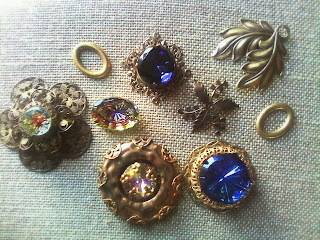 I have been working on several necklaces. 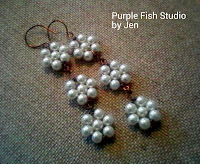 I have made the connectors using beautiful beads and then made the links, jump rings and clasps also from wire. Are there any techniques you have been working on? Any new ones you want to learn? Have a great afternoon and keep warm. 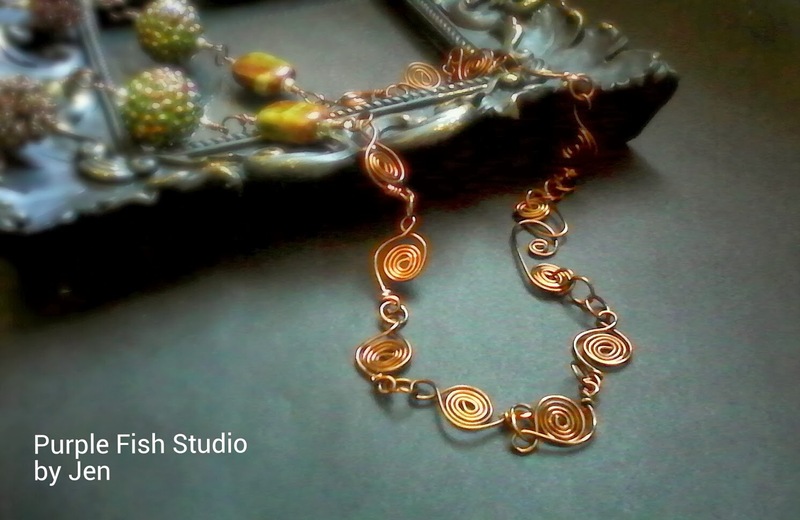 For me, designing jewelry is my passion, but finding modes of inspiration can sometimes be challenging. I look in nooks and crannies of antique shops as well as the vintage jewelry cases. I also like to go to estate sales and look for unusual things that catch my eye. I do a lot of research online and by looking through and reading books and magazines. 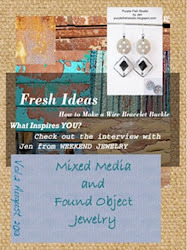 Some might be surprised in that, I let the bead, rhinestone, or focal piece speak to me about the design. I never sketch out an idea first and then hunt for the pieces. It is almost like an adventure and I really have to love the piece or I don't buy it. Once I find a great piece, I let it sit on my studio work bench for a few days to weeks, sometimes months, and on the rare occasion, a year; the average is about three days. During the time it sits, I pick it up a lot, draw some sketches and do some research. When I finally get a piece together, it sits a few more days until I'm 100% certain I love it and if it doesn't feel right, I work on it until it does. One of my design rules is, it's okay to find inspiration in other designers work, but it should never be copied or close enough to look similar. I really want my pieces to be unusual and intriguing. Another criteria is that it needs to tell a story or capture a feeling (hopefully one with a little nostalgia...LOL). I would love to hear about you process and what inspires you - add a comment and let me know. 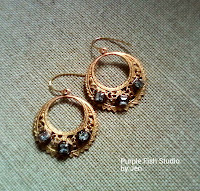 Today - Saturday 1-4-14, all day, ending at midnight, ursyllabs.etsy.com is offering 20% off all jewelry. Use coupon code TWENTYPERCENT at check out. 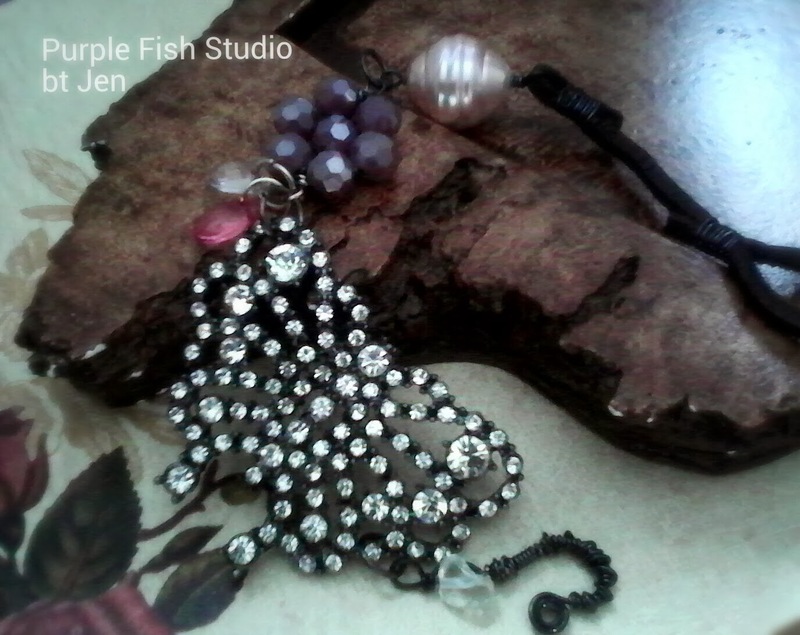 If for some reason you encounter a problem send me an e-mail at purplefishstudio@hotmail.com and I can help you out. I cannot believe how fast the holidays went by. I have not blogged since last September. I have decided not to do a New Year's resolution, instead, get organized a little more and try at least two new techniques in my designing. 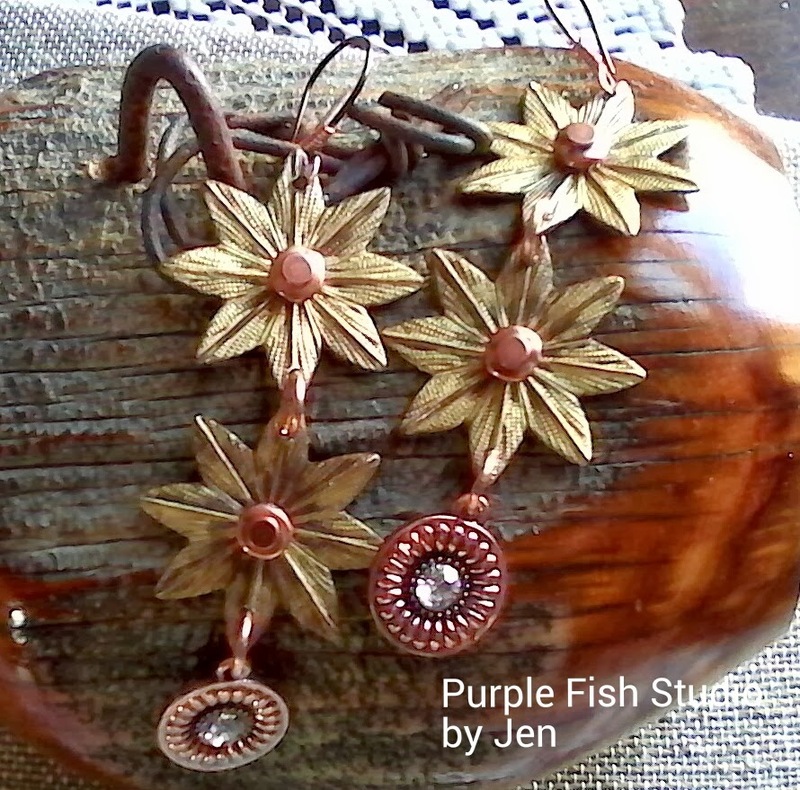 After the mad sales rush and special orders of the holidays I am in need of a vacation..LOL - but I think it will be more of a staycation where I can take a slow careful look at my inventory, decide what to keep and what to pass on to someone else. I received an Android tablet for Christmas, from my daughters - the tablet is great and I am learning to love it, but as a borderline troglodyte, the experience has been a "trip" thus far, and on occasion, tested my limits of sanity...LOL. I am one of the few and brave who does not even have a cell phone - and how peaceful that is, especially when I am in my design mode. I hope all of you have had a wonderful holiday season and I look forward to blogging again.